Dragon Age: Origins | Are We New At This? Dragon Age: Origins was a great game. It took me 106 hours and some change to complete the game, and it was an exhilarating experience. Sure I had some problems with the game, but all things said and done it was a terrific gaming experience, epic in scope, terrifying even in its conclusion, and bold in execution. Dragon Age 2 launches March 8, 2011, and by the looks of it, not only does it already address several of the issues players had with the game, it also improves on existing systems to further streamline the overall experience. The above, more or less, covers my wish-list. The self-contained act system, what BioWare refers to as the ‘frame narrative’, is sigh of relief. I recall at one stage mid-game I had so many quests in my log that I couldn’t figure out what to start and where to finish. If I didn’t play for a day, it took me a good half hour to sort out what I was working on, and make my way there. In short, it was a nightmare and clunky quest log didn’t particularly help either. The dungeon crawls sucked.For the love of god guys, I understand the need to build dungeons in an RPG, but they don’t need to span the length and breadth of Satan’s colon. The dungeon romps were unforgiving in the first installment, and I sincerely hope BioWare either breaks up the crawls, or streamlines them to give the player a break in the middle. For anyone who has played the game, two crawls particular standout for me. The first was on-route to the Urn of Sacred Ashes. The second, *shudder*, was the romp through The Fade. God that was long. And complicated. And long. Storage and Respec. These two issues will fixed via later patches in the first game, but during the first play-through, it was a huge pain to constantly balance everything that you needed to carry and everything that you needed to store. The limited inventory space ensured that you were constantly selling things, even items that you would need later, simply because there was no room left. Much as I loved most of my characters, one gripe I had was about the unforgiving nature of the respec system. If you picked up a skill, you were stuck with it for the rest of the game, even if realize post execution that it was the most useless ability in the game. And finally BioWare, please hire a jumping animator. It will introduce new moves and gameplay mechanisms to the game, and allow the characters to experience gravity like Sir Isaac Newton would want! Only four months to go. Two if you count the Facebook tie-in. Can’t wait! 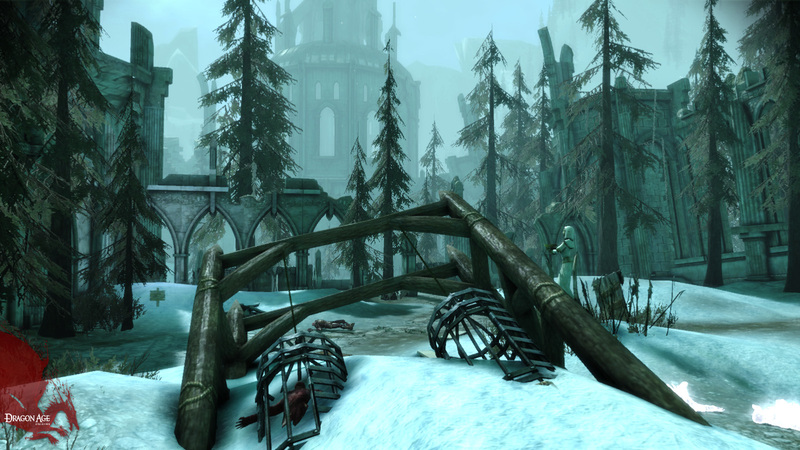 Dragon Age: Origins, for all its monotony in combat at the later stages, was a phenomenal game. It took me well over 106 hours and some change to finish the story arc, my inherent completionist nature partially responsible for length of time I invested in the game. I thoroughly enjoyed the experience and the evolving story, the intense combat, and lore this epic saga had to offer. Dragon Age: Awakening costs $40. Will Awakenings give me a proportionate 80+ hours of satisfying playtime? Something tells me that won’t be the case. BioWare just released another mini-trailer for a new type of Darkspawn in the game, called Disciples. Along with the previously revealed Children, as well as several enemies still unlocked, it makes you wonder where these Darkspawn were during the initial campaign. Surely the Archdemon could have used the help, considering he got thrashed by a petite city elf girl! Um, that was my sister’s character. Moving on. The trailer is linked below. 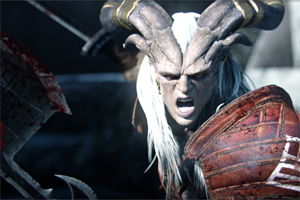 Dragon Age: Awakening will be available March 16. Although I wouldn’t count on that, given the fate of the last DLC, Return to Ostagar. It has been a busy day, but at least I got some good news at the end of it. BioWare announced the latest DLC for Dragon Age: Origins, Return to Ostagar. The price tag is $5. Returning to Ostagar is intriguing. Although I am not sure why you could not do that in the first place. King Maric’s armor looked dashing, pictured in the screenshot above. I would love to get it for my tank character. The original game cost $55 (tax included) and, according to some accounts, gives 60-80 hours worth of gameplay if you explore the world in detail. A $5 content should subsequently provide me with about 6 hours or so of content. There are other factors that go into it as well, such as the quality of the content, or the progression of the characters involved. But overall, I am looking to be entertained for a good chunk of time. What was the fate of the prisoner in the cage? One of the screenshots may have already ruined that part, but I am interested in knowing. Is it possible that there could be another battle at Ostagar, perhaps not the same scale of the first one, but a large clash. More importantly, a clash you and your party could actively participate in and turn the tide. There have been some very memorable battles in Dragon Age: Origins so far, and a few (Redcliffe, for instance) had 20-30 individuals exchanging blows on-screen. But I want to participate in a war. Several hundred against several hundred. I think that would be quite marvelous actually. I am maybe 25% through the game, so I am not sure if Duncan’s fate in the beginning is final. But a survivor? DUNCAN? Say it is so!